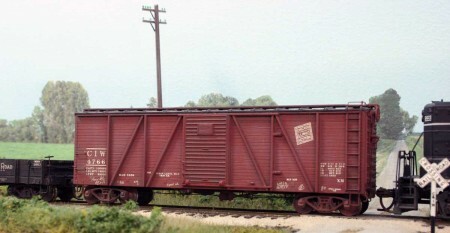 An upgraded Accurail box car in service on the C&IW. One of the benefits of freelancing is being able to use available equipment to build up a roster quickly. 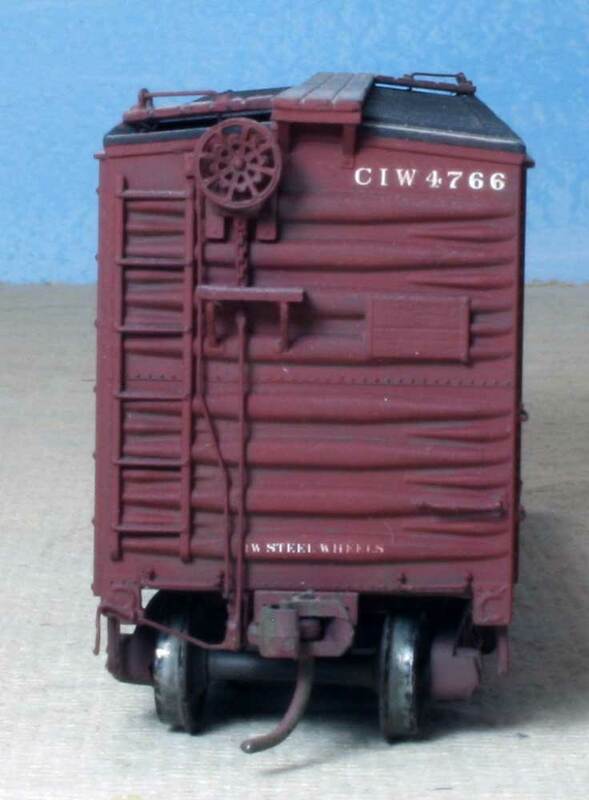 This is an Accurail plastic box car model, what they have labeled as a 6-Panel Outside Braced Boxcar with Dreadnaught Ends. Click on any image here to review a larger size. I replaced the fish belly center sill on the underframe with a straight center sill to reflect a more typical ARA boxcar underframe from the late 1920’s. A few strips of styrene makes for a quick conversion. The AB brake system components were installed following common prototype practices. Some wire and styrene parts are added to the kit provided brake hardware. I left the cast-on ladders in place but the grabs and brake gear on the end was replaced. The running boards were thinned for a more prototypical appearance. Standard C&IW practice is to use black car cement on the roof, which has just about completely worn off except around the car lines and the roof edge. Weathering was applied using washes, Pan Pastels and dry-brushing. A few simple upgrades to common freight car kits can add to the look of your fleet.